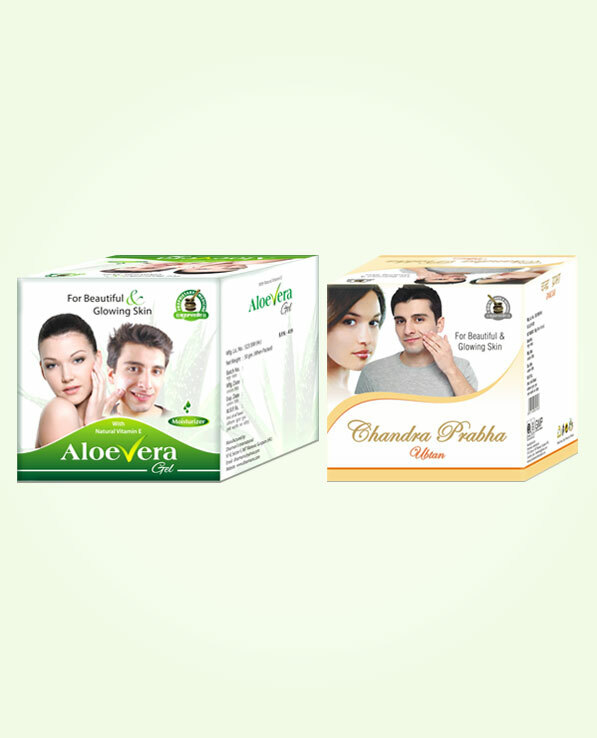 Aloe Vera gel and Chandra Prabha ubtan are two most prolific herbal supplements which provide everlasting youthful, soft and supple skin to enhance looks and charm of a person. These supplements are recommended to treat skin blemishes and also skin disorders and keep it soft and healthy. Skin is exposed to external environment and it bears all the wrath of stressors like air, water, sun, cold and heat. It is also exposed to chemicals and environmental pollutants which are suspended in air and water and are also present in soaps and cosmetic creams and gels. Apart from external stressors even internal stressors are no lesser culprits in making skin dull and lustre-less. Poor nutrition, deficiencies, disorders, medicines and blocked blood vessels are major reasons for dull and rough skin. Apart from these fatty foods, poorly functioning liver and higher toxicity in the body also cause poor health of skin. Aloe Vera gel and Chandra Prabha ubtan can handle all these issues effectively and provide glow and shine to the skin in a short time. It cures and prevents skin disorders like acne, eczema, skin rashes, allergies, etc. effectively. It moisturizes skin naturally and prevents dryness and flaking skin. It is very useful in treating sunburns and also prevents ill-effects of UV rays present in sunlight. It clears dark spots on skin occurring due to sun or due to aging and poor liver functions. Opens-up pores of skin and provides healthy moisture to prevent oily and dry skin. Improves skin shade and diffuse melanin deposition to provide even tone to the skin. Makes skin supple and softer and also makes it appear younger and fresh. It enhances skin tone by removing spots and marks caused by sun, aging, acne or other health disorders. Promotes skin tightness and removes wrinkles, fine lines, crow’s feet, etc. to make person look younger and fresh. 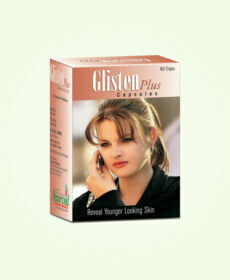 Reduces appearance of scars and marks caused by skin disorders like acne and make skin appear smooth. Prevents acne and exfoliates dead cells off the skin to open skin pores. Prevents effects of stressors like pollutants, chemicals in water, soaps and cosmetics etc. 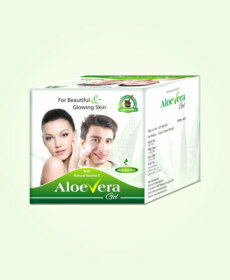 Improves skin’s shade considerably and provide glow to the skin. Prevents allergies, infections and irritations on skin and heals inflammation and rough patches effectively. Aloe Vera gel comes with all goodness of aloe vera herb; this herb is well known for its aesthetic effects and has been used since ancient times for enhancing beauty and charm of a person. This gel has strong properties which not only make skin appear younger and fresh but also improve its health and endurance. This herb possesses powerful anti-inflammatory properties which reduce swellings and also promote blood flow in the capillaries of skin. Healthy blood flow prevents higher cell death and maintains healthy cell generation to keep upper layer of skin soft, healthy and firmer. This pure Aloe Vera gel has innate properties to maintain healthy moisture, which makes it an effective shield against all type of stressors, which deplete glow and softness of skin and cause disorders like acne. This is dependable moisturizer which is far better than costliest cosmetic product. This keeps skin pores open, curbs bacterial presence over skin and enhances collagen and elastin fibre in skin to maintain its firmness and youthful plump for longer period in life. Aloe Vera gel is excellent for removing blemishes and reduces appearance of scars and marks on skin. 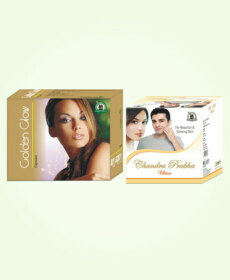 Chandra Prabha Ubtan is ayurvedic preparation which enhances glow, shine and tightness of skin. This is very useful for preventing skin aging and maintaining its smoothness by curing wrinkles, lines and scars. This face pack provides lighter shade to skin in a short time and enhances its looks and texture considerably. This ayurvedic ubtan is very effective remedy for acne. It heals existing pustules and pimples in a short time and prevents formation of marks or spots after healing. This prevents frequent outbreaks of acne very effectively. Chandra Prabha Ubtan on regular use can clear scars and make skin smooth and it also keeps on improving shade of skin’s colour day after day. It removes excess oil from the skin and leaves it healthily moisturized; it can even reduce marks caused by small-pox, or any other issue. This ayurvedic face pack considerably promotes skin tightening and glowing skin. Aloe Vera gel and Chandra Prabha ubtan are easy to use. Wash your face with soap and wipe it dry completely, take 3-5 grams of Chandra Prabha Ubtan, if you want to treat acne mix it with curd or milk and form a paste. Apply this paste and wear it like a mask for 20 minutes and scrub off later. Wash your face with water and apply Aloe Vera gel. Repeat one more time in the evening and leave Aloe Vera gel overnight. If you want lighter skin shade add rose water to make paste. Repeat this for at least 3 to 4 months to gain maximum benefits. 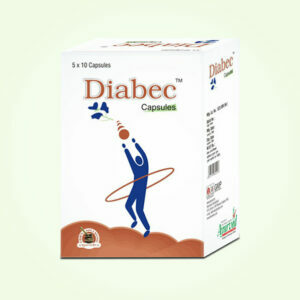 These are completely safe supplements which are free of side effects. My sister used Aloe Vera gel and Chandra Prabha ubtan for almost 3 and a half months and now her face has become free from pimples and acne. She is really happy with these awesome results. My skin is really sensitive. It damages easily. I used gel and Chandra Prabha Ubtan for few weeks and this combo gave me consistent service quality and fascinating results. It not only solved my acne problem but also made my skin soft and supple. Love this product! This product is original and the gel is easy to apply. I noticed positive results in only few weeks of using this ultimate combination and have been using this product for four months now. My skin looks happy and the change is noticeable. Couldn’t be happier from this product! Outstanding product. This is perfect Gel for me. Feels very natural and calms the skin. After using it there results are mind-blowing. Skin needs refreshment unfortunately we fail to give it that regularly and also expose it to pollutants and scorching Sun regularly. I suggest that do not use anything that is not natural. Herbs are best for skin of any type and make it long-lastingly beautiful and young. 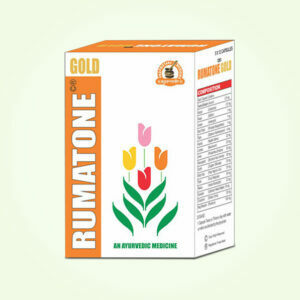 These supplements are exemplary provide benefits in short time and the ones that stay with you longer. I run a beauty salon and use these supplements regularly have never let me down. 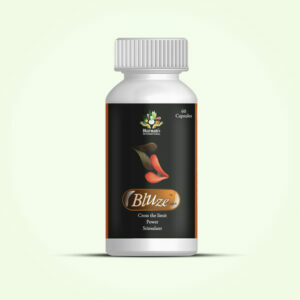 In fact people prefer to come because of these herbal supplements. My acne was gone but their footprints are still evident. Skin is patchy and rough and does not maintain glow for long even after a parlour facial. I started using these supplements and in couple of months my skin was like those brimming ones which reflect light like a glass. These supplements eliminated all those marks and spots and improved my skin tone. It is lot soft but tight and I look like a girl who never ever had any acne problem. Wonderful supplements!